We provide patients with around-the-clock access to neurointensivists and other neurocritical care specialists who use evidence-based, patient-centered protocols to expertly treat neurological injuries. 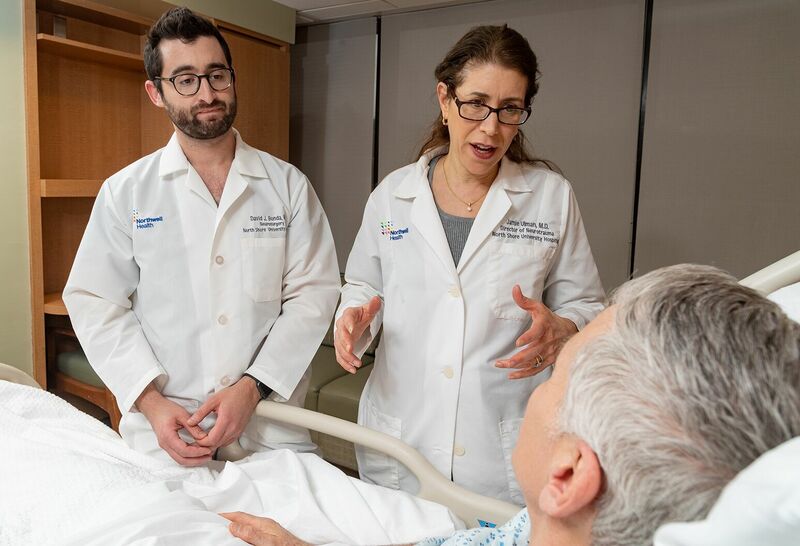 Our dedicated team of neurointensivists works together across Northwell Health, integrating seamlessly with our Intensive Care Unit. A team-based model of care ensures that upon admission patients are followed by the same neurointensivists, critical care nurses, social workers and other health providers throughout their stay. This continuity ensures coordinated, seamless care, and excellent communication between the medical team and patients and their families. Overall, this approach increases quality of care and patient satisfaction. In addition, we regularly evaluate patient length of stay and readmission rates. We believe communication with the patient's family is imperative. Our social services team reaches out to family and caregivers on a daily basis to discuss and educate families about the patient's clinical status and pertinent illnesses. Our Neurocritical Care Center has incorporated a child life team to arrange visitation for even the youngest visitors. Within Northwell Health, there are two centers of excellence for neurocritical care, North Shore University Hospital and Lenox Hill Hospital. 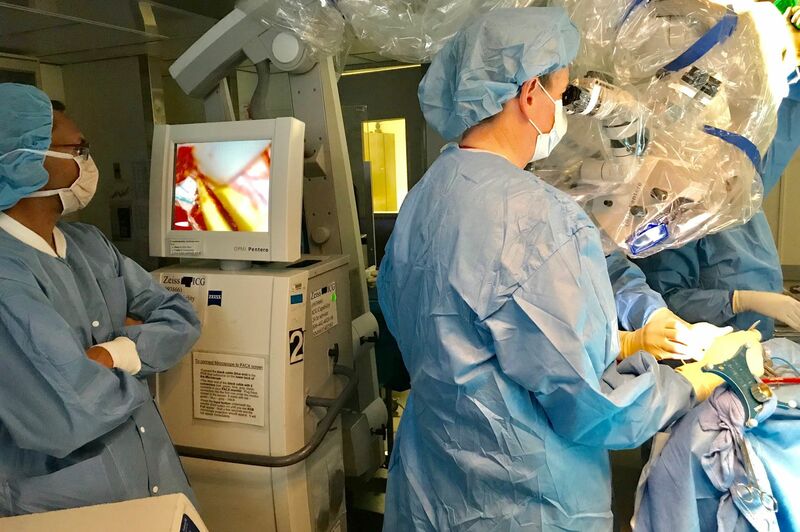 With state-of the-art technology at both locations (such as intracranial pressure monitoring, brain oxygen monitoring and ultrasound imaging techniques), we are able to provide critically ill patients with specialty care services. Comprehensive treatment is provided through detailed, daily teaching rounds which include nurses, residents, fellows and a multidisciplinary team of physical and occupational therapists, respiratory therapists, nutritionists and social workers. Treatment includes multi-modality monitoring, depending on the severity of the neurological injury as well as a portable CAT scan, which is housed in the neuroscience ICU for emergent imaging. We offer 24/7 care using telehealth, which enables healthcare specialists across Northwell Health to provide remote consultations via video. Our specialists are using their expertise to develop clinical pathways for treating brain hemorrhage and brain aneurysm, as well as guidelines for intravenous sedation and anticoagulant prophylaxis for deep vein thrombosis. The Neurocritical Care Center is part of NIH (National Institutes of Health) Strokenet, a large national research collaborative that conducts research in stroke treatment, prevention and recovery. We also have a board-accredited fellowship program that provides education and training to those entering the field of neurocritical care.